REBECCA Taylor is speaking out on behalf of other Tasmanian parents whose children have a disability. She decided to share her story after the Mercury yesterday reported some children with disabilities were being sent home or asked not to attend school ­because of a lack of support. It is a story, disability advocates say, many parents are reluctant to share. 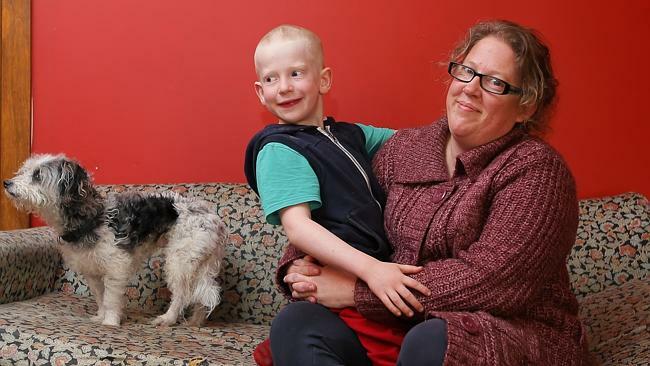 Ms Taylor’s seven-year-old son Willow has autism and ­attends a mainstream independent school in the Hobart area. The Franklin mother said she was angered recently when her son’s teacher told her he would be sent home from school because of challenging behaviours. “The teacher said to me very clearly if these behaviours continued to occur he would send Willow home from school,’’ Ms Taylor, 38, said. She said she told the school that, because her son’s behaviours were a result of a disability, excluding him from school would be discrimination. “Talk of him being removed from school has been removed from the agenda – but I believe that it is because I was strong in my response,” she said. She is now working with the school on an individual education plan for Willow and said the issue was one of resources. State Anti-Discrimination Commissioner Robin Banks said she had heard from parents concerned children had been the subject of discrimination by schools on the basis of their disability. “We’ve had issues raised about kids being sent home, also about ensuring kids get the same sort of opportunities at school,” she said. Ms Banks said schools were required to give disabled students equal access or risk being in breach of discrimination laws, except in cases where meeting the student’s needs would create unjustifiable hardship. She said schools Australia-wide faced a challenge catering for a vast range of students with different needs. “Schools have to find a way to meet the educational needs of all children,” she said. The Education Department’s Deputy Secretary of Early Years and Schools Division, Liz Banks, said there was a place in Tasmanian government schools for all ­students. “Schools work closely with parents and school communities on how to best support the learning needs of students,” she said.